The S.S. John Glenn Cygnus spacecraft successfully completed Orbital ATK's seventh cargo logistics mission to the International Space Station under NASA’s Commercial Resupply Services (CRS-1) contract. The mission also marked the third time that Cygnus was used as a research platform for conducting in-space research with all mission objectives executed as planned. The OA-7 mission officially concluded on June 11 at approximately 1:08 p.m. EDT when Cygnus performed a safe, destructive reentry into the Earth’s atmosphere over the Pacific Ocean east of New Zealand. Four Spire LEMUR-2 CubeSats were successfully deployed from the NanoRacks deployer aboard the S.S. John Glenn Cygnus spacecraft. The first two were deployed at 5:53 p.m. EDT and the second two were deployed at 9:03 p.m. EDT. Cygnus is scheduled to reenter the Earth's atmosphere on Sunday, June 11. The S.S. John Glenn Cygnus spacecraft was released from the International Space Station at 9:10 a.m. EDT after 44 days at the orbiting laboratory. Cygnus will now complete three additional science experiments; the Spacecraft Fire Experiment-III (Saffire-III) for NASA's Glenn Research Center, the deployment of four CubeSats from its NanoRacks CubeSat deployer, and the Reentry Data Collection (RED-Data-2) test. Cygnus will reenter the Earth's atmosphere on June 11. The Saffire-III experiment was successfully completed at approximately 8:00 p.m. EDT. The S.S. John Glenn Cygnus spacecraft was captured by Thomas Pesquet and Peggy Whitson aboard the International Space Station this morning at 6:05 a.m. EDT. The spacecraft successfully berthed to the Unity module of the space station at 8:39 a.m. EDT. 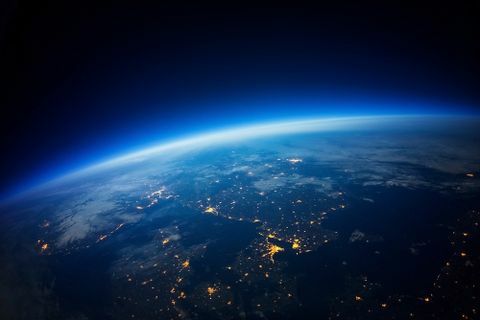 The spacecraft will spend about three months on station before it is released in July for a destructive re-entry into the Earth’s atmosphere, disposing of several thousand pounds of trash. 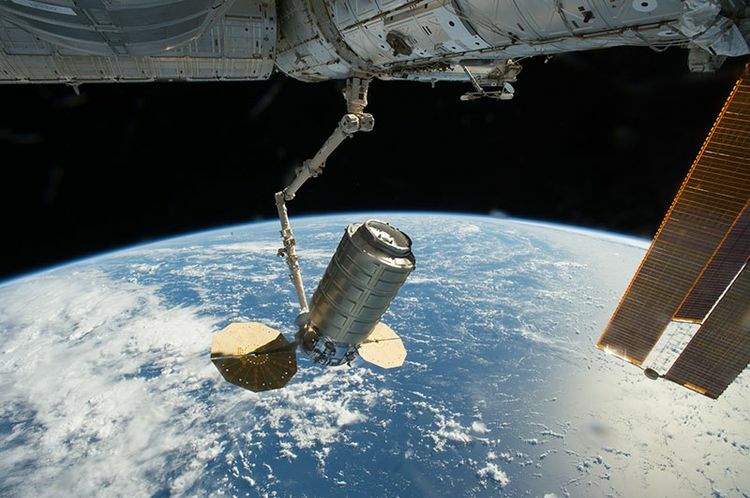 S.S. John Glenn Cygnus spacecraft is set to be grappled by astronauts aboard the International Space Station on Saturday, April 22 at 6:05 a.m. EDT. Expedition 51 Flight Engineer Thomas Pesquet of the European Space Agency will use the station's robotic Canadarm2 to capture Cygnus. Watch live coverage of the rendezvous and capture beginning at 4:30 a.m. EDT on NASA TV. Liftoff of the United Launch Alliance Atlas V rocket with the Orbital ATK Cygnus module carrying more than 7,600 pounds of science experiments and crew supplies bound for the International Space Station occurred at 11:11 a.m. EDT. We are set to launch our OA-7 mission aboard United Launch Alliance (ULA) Atlas V rocket at 11:11 a.m. on April 18. Weather is looking good with 90 percent favorable conditions. The United Launch Alliance (ULA) Launch Readiness Review (LRR) is complete and we are on track to launch our OA-7 mission atop ULA’s Atlas V rocket on April 18. The U.S. Air Force Launch Readiness Review will take place on Monday, April 17 and will provide the final go for launch. The 30-minute launch window opens at 11:11 a.m. EDT, and the live broadcast begins at 10 a.m. Don’t forget about the live 360 coverage on the NASA Television YouTube channel. NASA, Orbital ATK and United Launch Alliance (ULA) are now targeting April 18, 2017 for the launch of Orbital ATK’s seventh contracted commercial resupply services resupply mission to the International Space Station. 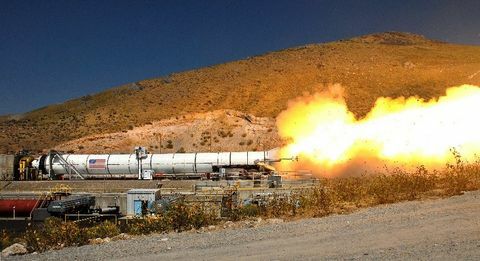 ULA has developed a plan to resolve an earlier booster hydraulic issue, and is moving forward with launch vehicle processing. Both the Atlas V rocket and Cygnus spacecraft remain secure. Several tons of cargo including crew supplies and science experiments packed aboard Cygnus remain in good shape. Orbital ATK is honored to name the OA-7 Cygnus cargo delivery spacecraft after former astronaut and U.S. Senator John Glenn. Glenn, the first American to orbit Earth, was a lifelong pioneer of human spaceflight. Glenn paved the way for America’s space program, from moon missions, to the space shuttle and the International Space Station. 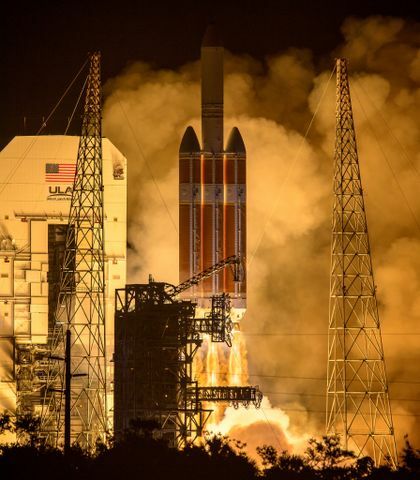 His commitment to America's human space flight program and his distinguished military and political career make him an ideal honoree for the OA-7 Mission. Glenn passed away on December 8, 2016 and is survived by his wife of 73 years, Annie, and their children, John and Carolyn. 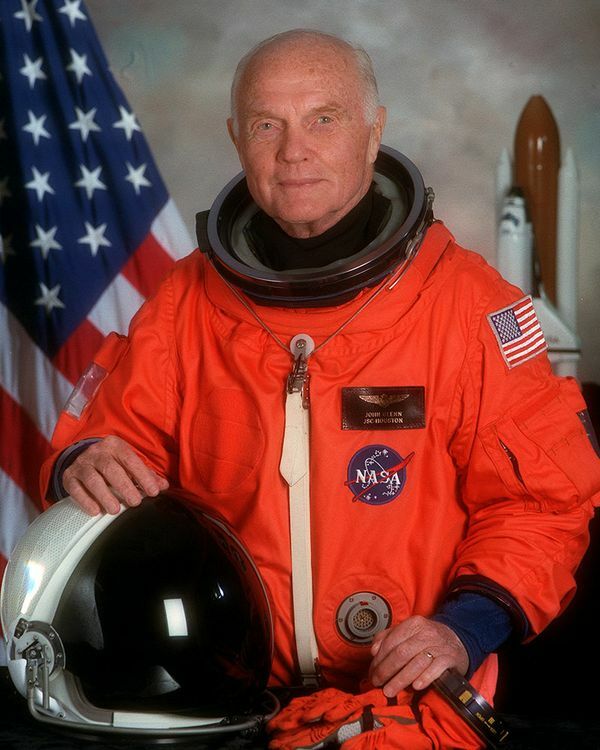 Read more about John Glenn here. The OA-7 mission is targeted to launch on April 18, 2017 from Space Launch Complex 41 at Cape Canaveral Air Force Station in Florida. Orbital ATK will launch Cygnus atop a United Launch Alliance (ULA) Atlas V rocket for delivery of essential crew supplies, equipment and scientific experiments to astronauts aboard the International Space Station. 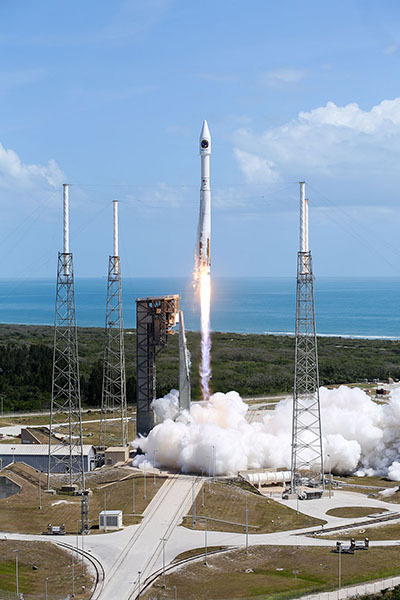 We responded to NASA’s needs for enhanced schedule assurance for cargo deliveries and maximum capacity of critical supplies to the space station in 2017 by once again partnering with ULA to launch Cygnus aboard an Atlas V for the OA-7 mission. For the first time ever, viewers will be able to watch a live 360-degree stream of the launch. The broadcast will begin 10 minutes prior to liftoff on the NASA Television YouTube channel. More information available here. Cygnus will carry the SAFFIRE-3 space combustion experiment from NASA’s Glenn Research Center that will intentionally burn a single large sample of material to study flame development in space. Cygnus will also carry the Reentry Data Collection (RED-Data-2) flight recorder to provide crucial data about the extreme conditions a spacecraft encounters during atmospheric reentry. OA-7 will mark Orbital ATK’s seventh cargo delivery mission for NASA under its Commercial Resupply Services (CRS) -1 contract.